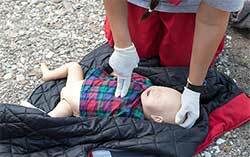 The WorldCPR Learning Centers, LLC or simply WorldCPR® is a passion driven corporation committed to training ordinary individuals to become extraordinary life savers worldwide. Our goal is to provide you with the highest quality training along with the most up to date standards in emergency response. We serve clients in Maryland, District of Columbia and Virginia. Our CPR, AED, First Aid and BLS certification courses are designed to give the layperson and professionals alike the education and confidence they need to effectively provide emergency care. Successful students should be able to quickly assess the scene and victim and provide appropriate care for them until professionals arrive. Many styles of learning are applied during our courses including verbal instruction, visual demonstration and “hands-on” participation, strictly following the updated Guidelines from the International Liaison Committee on Resuscitation (ILCOR), International Consensus on CPR and Emergency Cardiovascular Care (ECC) Committee. Our certified instructors will provide learning in a way that guarantees that every student completes their certification. 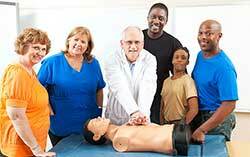 Thank you for choosing WorldCPR Learning Centers, LLC. as your training provider. We value your time and are committed to meeting your corporate and personal emergency training needs.